A returning customer of mine brought his Mercedes Benz E class sedan to have me black out the chrome on the front and rear of his car. For the front, I vinyl wrapped the lower front bumper lip and also the grill surround in the 3M 1080 gloss carbon fiber vinyl material. However, the center of the front grill was plasti dipped a matte black finish. 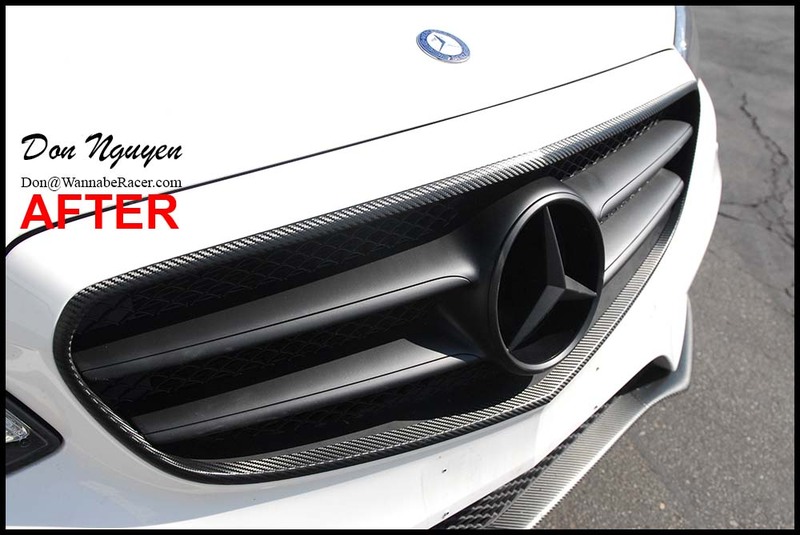 In addition the other front, I also wrapped the top center portion of the rear spoiler and also the chrome trunk bar in the same 3M 1080 gloss carbon fiber vinyl material. The owner of this car was from Beverly Hills Los Angeles and came out to me in Anaheim Hills / Orange County to have the vinyl work done on his car.